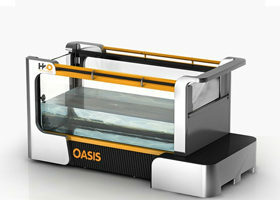 the Oasis Pro Underwater Treadmill. This is the best quality treadmill currently manufactured. It is all about your pet's health! 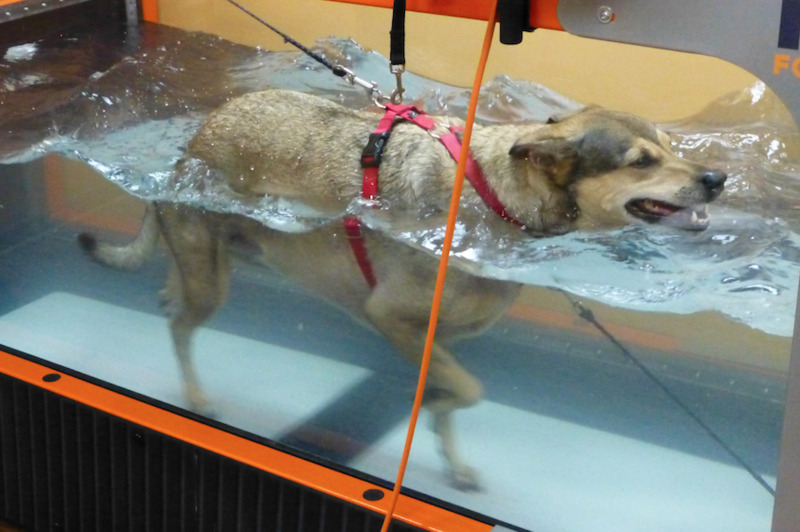 Rehabilitation after joint surgeries, fracture repairs, or muscle surgeries - the level of the water is adjusted to decrease stress on the joints, while at the same time increasing the resistance on certain muscle groups. Increasing muscle strength - in addition to water level adjustments, there are water jets to massage muscles during exercise, and this treadmill can be inclined to increase the muscle building. Arthritic patients - Elevated water levels are used to take the stress off the joints, while allowing an increasing range of motion. This is extremely beneficial. Weight Loss - the water's buoyancy reduces the weight bearing stress on the joints, while increasing burning of calories.